The most notable detections were in Mayo, Cork, Donegal, Kerry, Kilkenny, Tipperary, Wexford, Clare and Limerick. NATIONAL SLOW DOWN Day started this morning and will continue until 7am tomorrow morning. Gardaí have checked a total of 85,434 vehicles since 7am, some 191 of these were caught over the speed limit. 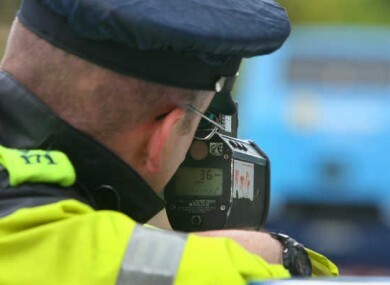 An Garda Síochána thanked the 85,243 vehicles who were using Irish roads today and were complying with speed limits. Email “Breakdown: These are the speeds of drivers caught over the speed limit since 7am ”. Feedback on “Breakdown: These are the speeds of drivers caught over the speed limit since 7am ”.